New standards of care, de-escalating therapy, and precision medicine are a handful of themes highlighted during the 2018 San Antonio Breast Cancer Symposium (SABCS), reflected Stephen C. Malamud, MD. For example, results of the phase III KATHERINE trial demonstrated a new standard of care in the adjuvant setting of high-risk HER2-positive breast cancer. Ado-trastuzumab emtansine (T-DM1; Kadcyla) was associated with a 50% reduction in the risk of invasive disease recurrence or death versus trastuzumab (Herceptin) as an adjuvant treatment for patients with HER2-positive early breast cancer who had residual invasive disease following neoadjuvant therapy. Moreover, the 3-year invasive disease-free survival (iDFS) rate was 88.3% with T-DM1 compared with 77.0% with trastuzumab, and this benefit was reported across key patient subgroups. 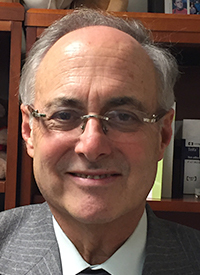 Additional clinical trials with pivotal data included the IMpassion130 trial in triple-negative breast cancer (TNBC), the PHARE trial in HER2-positive disease, the SOLAR-1 study in PIK3CA-mutant breast cancer, and the TAM-01 study in estrogen receptor–positive breast cancer, among others, Malamud said. In an interview during the 2018 OncLive® State of the Science SummitTM on Advanced Breast Cancer, Malamud, an associate professor at the Icahn School of Medicine, Mount Sinai Health System, reflected on the intriguing and practice-changing data presented at the 2018 SABCS. OncLive: Could you highlight the data with the KATHERINE trial in HER2-positive breast cancer? Malamud: One of the first presentations we heard [at the meeting] was the presentation of the KATHERINE trial, which was a trial designed to determine the value of T-DM1 against trastuzumab in the setting of patients who received neoadjuvant therapy with HER2-based therapy. Trastuzumab has, of course, been the gold standard for postoperative therapy, even in those patients who had residual disease at the time of their definitive surgery. It was a “runaway” with T-DM1 showing itself improvement in iDFS, and a toxicity profile that we know about and know how to manage quite well, so there were no surprises. Clearly, this will represent a change in the standard of care for [patients with] residual disease at the time of definitive surgery for HER2-positive breast cancer. What other trials reported at this year’s meeting had practice-changing potential? There were several other trials. One of the themes [this year] was to try and [not only] pick out those patients who have a potential target, but find out who amongst those patients will actually respond to a targeted treatment. One of the other trials that was especially interesting was the clinical utility of atezolizumab (Tecentriq) in TNBC. We had positive data from its first presentation, but now we see that the real benefit is in those patients who have demonstrable evidence of PD-L1 on the infiltrating lymphocytes. It’s not common to see it on the tumor cells themselves but to show infiltrating lymphocytes with the PD-L1 marker was an exceptional way of picking out those patients who would respond to the drug of choice here. Again, we are fine-tuning [it from] those patients who we know there was a chance of response, to picking out those who are most likely to respond. We are also adjusting, or de-escalating, therapy in patients who don’t need so much treatment. There were 2 major trials that look to that. One was updates of a HER2-positive breast cancer trial, the PHARE trial, which was 6 months of trastuzumab versus the standard paradigm of 12 months of trastuzumab. This was a randomized trial, mostly in Europe, and they set the confidence intervals at a certain point and could not prove noninferiority [between the 2 durations]. This was a distinction from what was presented at the 2018 ASCO Annual Meeting of the PERSEPHONE trial, where there was no inferiority. Again, there is a lot of discussion going on, so clinicians are going to need to look at those and see how the shorter duration weighs in the risks, benefits, and advantages versus continuing beyond the 6 months.